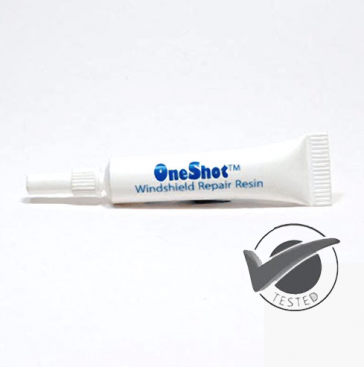 This is a sample size of our approved medium-to-low viscosity windscreen repair resin . It is stronger, more weather resistant, and it has an enhanced refractive index. It is used with stars, bulls-eyes and combination breaks.Other samples of resin can be requested in this size. Call us within 14 days if you need to return a product. We only stock the best Windscreeen Repair Equipment! This is a sample size of our approved medium viscosity windscreen repair resin . It is stronger, more weather resistant, and it has an enhanced refractive index. It is used with stars, bulls-eyes and combination breaks. Other samples of resin can be requested in this size. 1ml supplied in 5ml bottle (sample picture only for reference only) This sample is enough resin for approximately 6 windscreen repairs. Windscreen Repair Equipment is owned and operated by Ian Sprigg who has worked for 22 years within the UK windscreen Industry for a Multi National Company and as an independent operator for the past 11 years. The Highest Quality Windscreen Repair Equipment. Windscreen Repair is Green compared to Windscreen Replacement. GT Glass uses all the Latest Technology. © 2014 Windscreen Repair Equipment. All Rights Reserved.